Great opportunity to own two single level houses that include a 3-car garage which has been divided into a 2-car garage and 1-car garage space. Situated on a large over-sized 7200+ sq.ft. lot that is zoned R-2 . . . the property offers lots of living possibilities whether you wish to have rental income or share living space for multigenerational living! 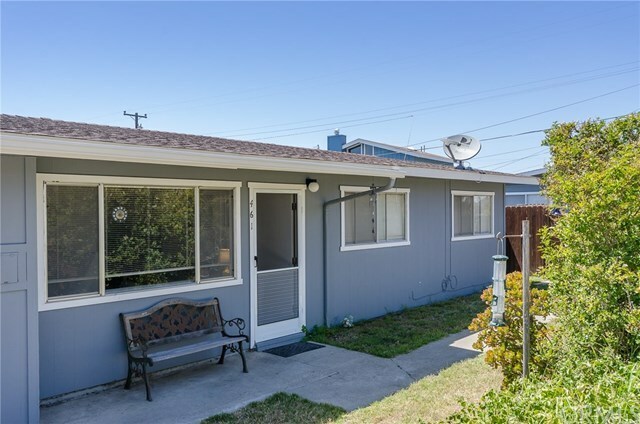 • 461 HILLVIEW: 3 bdrms / 1.5 baths / Approx 1000+/-sq ft / includes 2-car garage • 463 HILLVIEW: 2 bdrms / 1 bath / Approx 800 +/- sq ft / includes 1-car garage Each unit has its own private fenced yard.Rents are currently $1485 + $1375 = Rents total $2860 Tenants pay all utilities. Off street parking! Good outdoor spaces.Short distance to beach, parks, shopping, & schools. Beautiful Morro Bay is a harbor town -- features include the bay, sand spit, Morro Rock, shops,restaurants, golf and more. "information not verified"